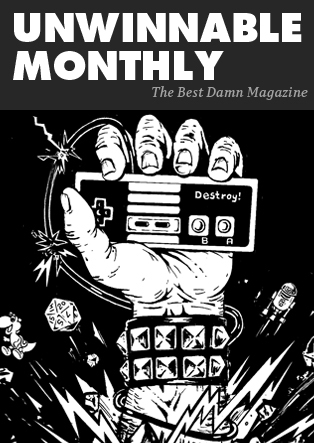 This feature is a reprint from Unwinnable Monthly #102. If you like what you see, subscribe for $5 a month and help support our work. The first thing I do after downloading the new “Discovery Mode” for Ubisoft’s Assassin’s Creed: Origins, which lets you non-violently explore the culture, people and architecture of Ptolemaic Egypt, is head directly south in search of Nubia. Contemporary Western recollection of Egypt remains myopically centered on its massive pyramids and god-like Pharaohs while Nubia, home to the Kushites, who would today be considered black Egyptians, rarely show up in films, literature or artwork about Egypt, despite sharing a closely interrelated history with greater Egypt – even ruling over it for nearly a century. The bounds of Origins’ Discovery Mode do not encompass the rocky hills and valleys of Nubia, as it turns out. They terminate, instead, at the edges of the Desheret Desert, just south of the verdant Fayum Oasis. To the south, sun bleached mountains cascade infinitely into the shimmering horizon; a world beyond the one I am allowed to play in. At least geographically, Origins doesn’t give me much to go on when it comes to the Nubians, focusing instead on the Nile Delta and the Ptolemaic period of rule (the series of rulers descended from the prolific Macedonian conqueror, Alexander). While I find this narrowness in scope disappointing, Origins is still one of the few contemporary stories about Egypt that pays any lip service to Egypt’s historical character as an African nation, with a diverse population reflective of the constant trade and emigration to which it has always played host. During my time with Origins, I come across Egyptians, Nubians, Greeks, Romans and even Libyans; I get to play as an umber-skinned Saharan man from the far-flung western desert oasis of Siwa, Bayek, who is voiced by the Kenyan-British actor, Abubakar Salim. 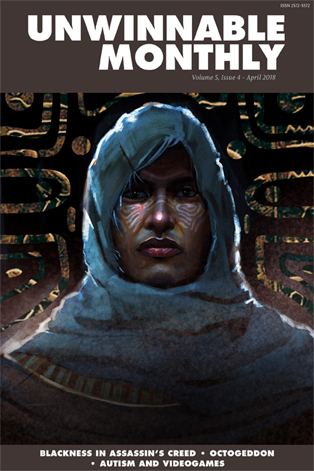 Playing Origins, picturing Salim as he voices Bayek’s lines, registering the appearance (if frequent ill treatment) of Nubian characters in the game’s narrative, I can’t help but consider my own contradictory hereditary roots. I was born to a Tunisian mother and an African-American father. As a result, I’ve received a cultural education from two very different spheres of African history. One aligned with the Arab and North African world, which often sees itself as distinct, even superior to the rest of Africa, and one aligned with a vague “Africaness” born from the trauma of the Middle Passage and its resulting diaspora. Perhaps for this reason, I see Egypt’s Nubians – strangers in their own land, caught between their blackness and their Egyptianess – as kinfolk of a kind. Like these Nubians, who once conquered Egypt primarily to preserve its cultural hegemony against foreign invaders, I feel stuck in the irreconcilable position of being proud of Egypt and the Arab world’s accomplishments, while at the same time recognizing the subjugation and ill-treatment of Sub-Saharan Africans by both. 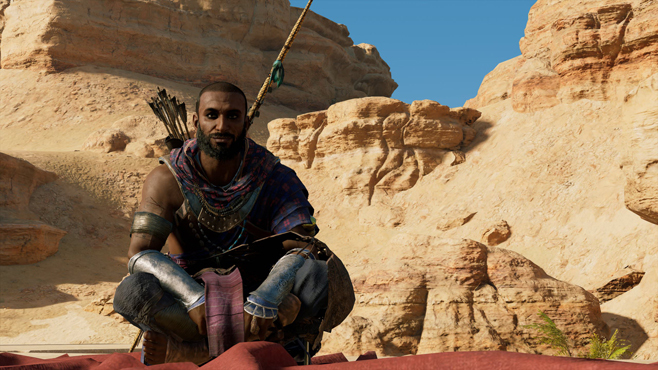 Some of the characters Bayek meets in Origins reflect the marginalization of Egypt’s southern neighbors. Kensa, a Nubian woman Bayek knows from Siwa, recounts being enslaved and exploited by the Romans. She works as a mercenary for Bayek’s assassination target, perhaps as a nod to the use of Nubians in ancient Egypt as hired soldiers. While slavery existed during the Pharaonic era in which Origins takes place, it didn’t become routine, structured practice until Islam conquered Egypt along with the rest of North Africa. In Islam’s Black Slaves, Ronald Segal describes the legacy left behind by the slave trade in North Africa “. . . there are . . . considerable numbers of blacks whose origin was overwhelmingly in the Islamic Trade. They are visible enough across North Africa, from Morocco to Egypt . . .” Their visibility even manifests in their names. “A freed male slave, while immediately granted the same legal status as the freeborn, became – along with his male descendants in perpetuity – a client of his former owner, whose family, name, and even lineage he adopted as his own.” Many Black Arabs today still bear the last names of their former masters, a misbegotten inheritance familiar to Black Americans as well. I think about the parallels between America’s legacy of slavery and the Arab world’s whenever I visit my mother in Tunisia. Tunisians often consider themselves “white,” choosing to prize their European connections above their African ones. Sub-Saharan Africans make up approximately fifteen percent of Tunisia’s total population and yet face racism and segregation daily. An Al Jazeera investigation in 2016 showed how de facto segregation has even begun to crop up in small villages in the south of the country. Like Egypt’s Nubians, the black population living in Tunisia is viewed more as something to ignore, and failing that, to ridicule. Black skin is described as dirty, black people as smelly and authority figures such as teachers and cops behave in openly prejudicial ways. The stark racism toward Black Africans in Tunisia doesn’t tend to extend to my family when we visit. My visibly black father and brother are protected by the foreign exoticness of their American identities and I can usually pass for a Tunisian (until I try to speak). For this reason, I’ve never thought to raise the issue with my mother or her family. While she does not subscribe to the Tunisian self-identity of whiteness, she also doesn’t seem to want to admit that Tunisians and other North Africans are responsible for exhibiting this level of prejudice against others. From my mother, I received my love of North African culture: the swooping illustrative lines of Arabic calligraphy; the ornately decorated doorways leading to private homes; the food and the familial closeness. But her particular blindness blinded me, in turn, to the long history of slavery in the Arab world, and the prejudicial manner in which many in North Africa view those who should be considered their countrymen, and who they ought to owe far more allegiance than the European powers which colonized and exploited them for centuries. This European influence is both a curse and a crutch to many in North Africa. 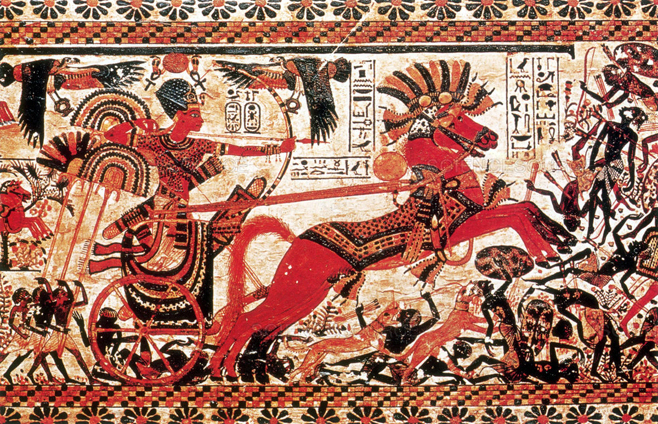 Egypt itself was transformed from an African empire into a proxy state of the Greeks, followed by the Romans. Despite 4,000 previous years of kings, queens, heretic emperors and harem intrigue, Egypt’s subjugation by Greece and later Rome seems to have eclipsed all other potential narratives in western storytelling regarding the Two Lands of the Nile. 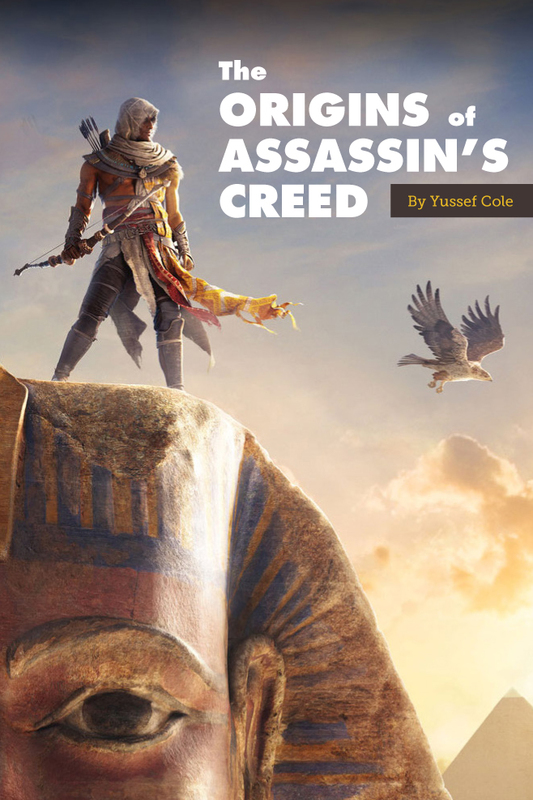 Ubisoft’s decision to retell the Cleopatra story in Origins is likely influenced by this Eurocentric urge to hear only those stories that center westernized history and perspectives. This focus on Cleopatra and the Ptolemies’ political struggles, which focused primarily on Northern Egyptian society, means missing out on the political struggles happening in the southern reaches of Egypt’s vast empire. It means only seeing a few voiced roles that are identifiably Nubian, or Sub-Saharan. It means that despite making strides to present diversity in the general makeup of the Egyptian population, Origins fails to take the necessary steps to un-center Europe in its game about Egypt. In failing to do so, the game reinforces the unfortunate misconception of Egypt as an island, separate from the unappealing blackness of the rest of Africa. 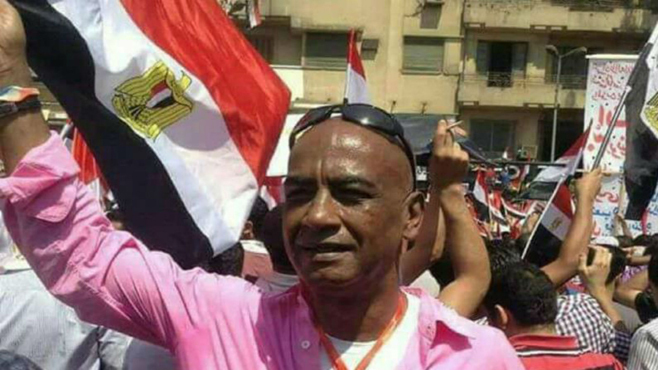 By acknowledging the presence of Nubians and other non-European cultures in its version of Egypt, Origins challenges the sense of superiority and isolation that Egypt has always been wrapped up in. This isn’t some weird, exotic place (founded by aliens according to racist nerds). It’s an African nation, populated by a people with diverse and varied backgrounds. Playing the game gives me space to think about the strange contradictory layers of my own identity. I don’t see myself in the more famous ancient figures present in the game as much as in those that are mainly absent; those that modern depictions of Egypt rarely consider, but who are Egyptian all the same.